This is an oversize 37mm. 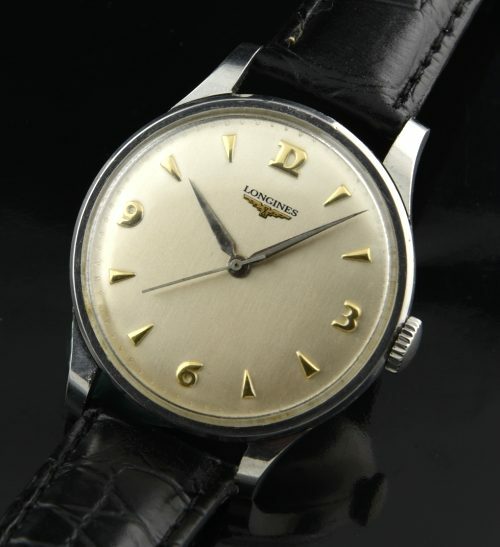 LONGINES in stainless steel having a very attractive and simple restored dial which still maintains the original gold toned markers and LONGINES raised emblem. The cal. 12.68ZS LONGINES movement was just cleaned and accurately keeping time. 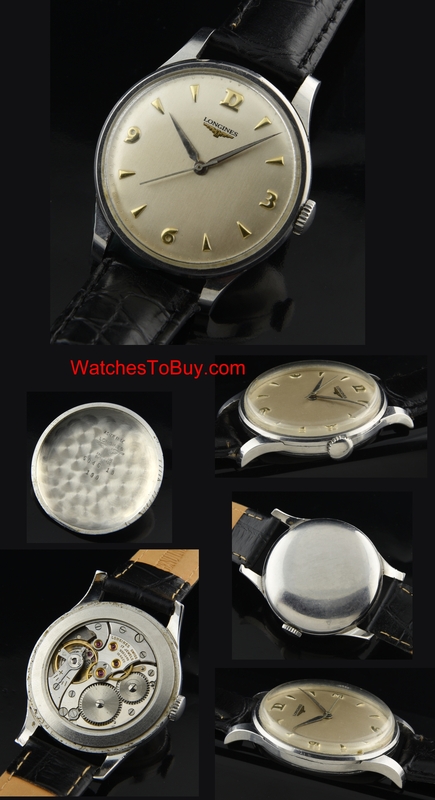 Finding large cased vintage LONGINES is becoming difficult.